As I referenced in a recent post, emerging student-centered instructional models attempt to shift much of the ownership and control (agency) of the learning process over to students. Whether it is an approach that customizes the student’s path and pace through the curriculum, or is an inquiry-based environment that has students engage in a problem solving/design thinking approach, students have greater degrees of agency. I’ve also had the fortunate opportunity of learning from Scott McLeod at two events this year (ETT Summit in Palm Springs, Innovation in Edu Summit in VT), and one of the “big shifts” needed in education that he often cites is “from teacher control to student agency,” reinforcing my belief in this idea. Yet this seems to be extraordinarily elusive when it comes to classroom practice. I myself experienced this as a teacher who experimented with 20% Time in my high school courses, albeit with mixed results. In my current role at the district level, I see teachers in various contexts struggle to make this shift towards student agency as well. Of course, we can point to some classrooms or specific school who does this effectively, but it has certainly not been implemented at scale the way other concepts have. Why is this so difficult? What are we not getting right? I recently started to think that I was not asking the right questions. What if instead of thinking about what the teacher is doing from an instructional design standpoint, I focus instead on the student experience. Most of the feedback I hear from teachers (and experienced as a teacher myself) is that students cannot “handle” that much control. But we need to unpack that a bit. I understand what the teacher means by this, but what specifically do students need to know, think, believe, that would enable them to actually “handle it”? In other words, what skills, attitudes and behaviors best equip students to thrive in environments that require student agency over their learning? 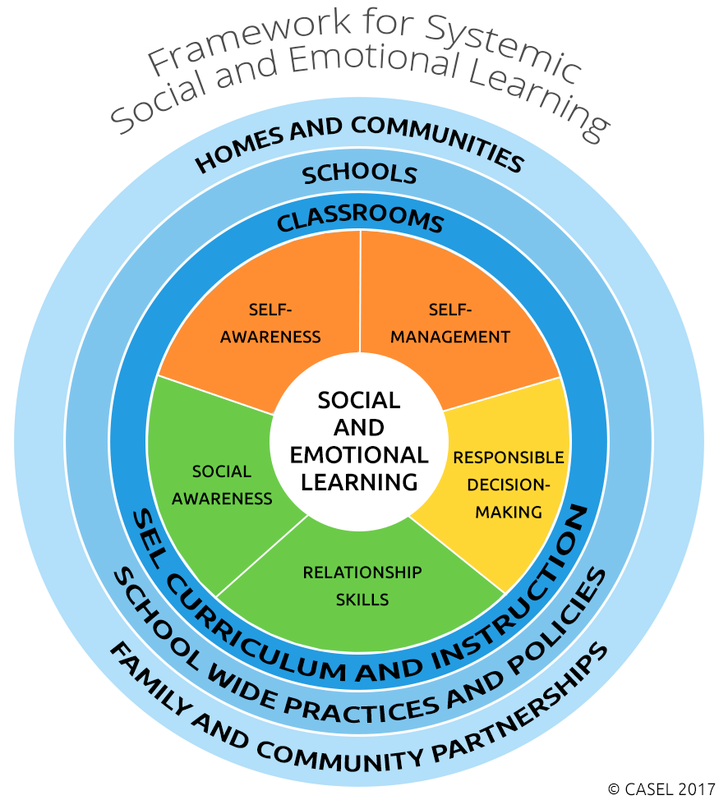 When preparing for our recent BWRSD Admin Retreat, I spent considerable time diving into social-emotional learning (SEL.) I quickly realized that this may be THE missing piece. Could this be the key to unlocking students’ ability to “handle” student-centered environments? What if we focus more on strong SEL environments first before diving right into student agency? Will this enable students to engage in student-centered learning? Would the success of students then spark a revolution in student agency as teachers see students who once struggled in these contexts begin to thrive?